A lot of good things have been happening to me lately. They are coming almost faster than I can record them. Today, May 7, 2014, I met with my friend Terry Ballard. The two of us have been pals since 1967 or so–we were in high school, but not the same high school. He has lived in New York for the past 25 years, but is in town right now to attend his 50th high school re-union tonight. When he is in town, we usually try to get together and compare lives. 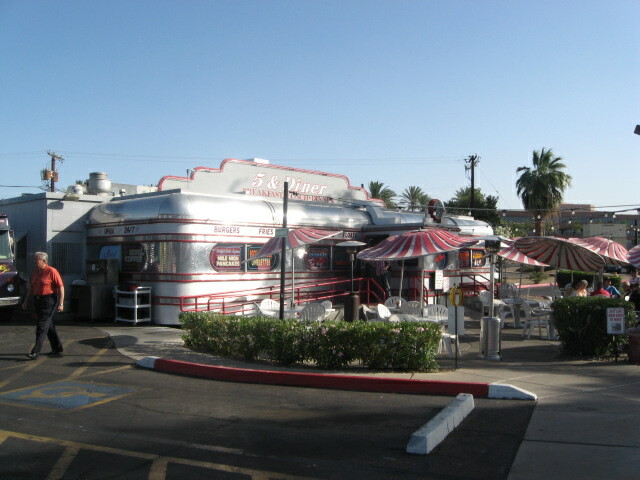 Our meeting place was the Five and Diner cafe on north 16th Street. This is a colorful place with good food at reasonable prices. Terry was already inside, I sneaked up on him. 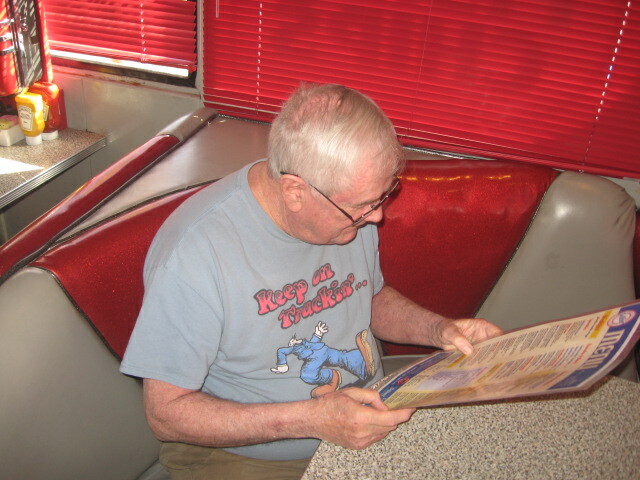 I owe a lot (karmically, not financially) to this man. He is a visionary who gets good ideas and then accomplishes them. Fandom owes a lot to Terry also. He started Phoenix science fiction fandom with the meeting of a few people in his apartment on Friday nights. LepreCon40 is happening this weekend, and LepreCon was Terry’s original vision and idea. I know because I was there when it happened. 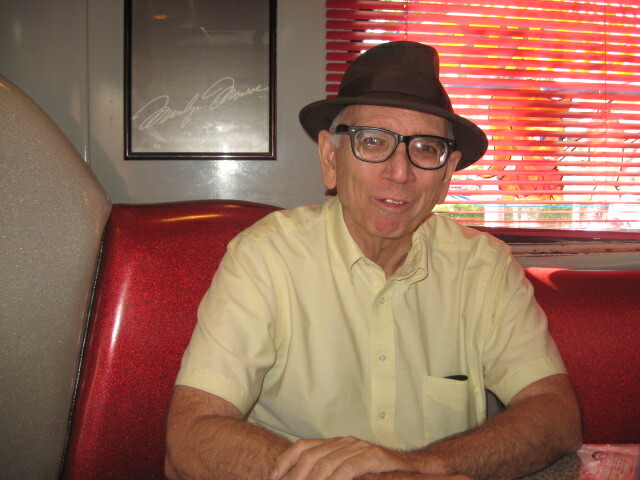 Terry also started the Phoenix Fantasy Film Society–don’t believe any other stories. Both LepreCon and PFFS happened originally because this man wanted them to happen. In addition, it was Terry who convinced me to start working for the Phoenix Public Library and who told me how to pass the test and actually get a job there. It was Terry who sent my first fan fiction off to Frank Denton and got the first Ken and Terry story published in Frank’s fanzine, Ashwing, way back in 1968. In fact, it was Terry who introduced me to the whole world of fanzines and the idea of fannish activity. He also introduced me to the Tarot, and started my lifelong fascination with that magical tool. He’s only a year older than me, but he influenced my life in so many ways it is hard to keep track of them all. Here I am, doing what passes as a smile from me. Our waitress tried to talk us into twice as much food as we really wanted for breakfast. She was a bit surprised when I took her picture, and insisted that she be allowed to pose for the next one. I like this shot. Look at that smile! It didn’t take long to get another picture of her, posing this time. Terry liked this pic of him. 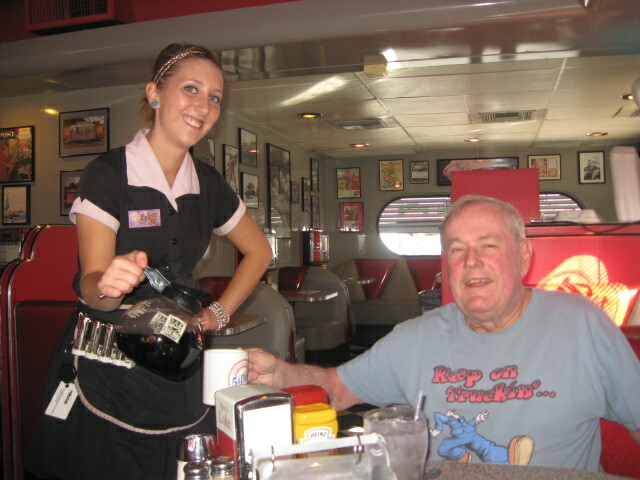 I left her a nice tip for the five cups of coffee she served me. Terry and I talked about memories and plans, and started a conspiracy to get me to New York for some great walking tours this summer. I’m thinking somewhere around the end of July will be a good time for me to see Long Island and all the wonders that are New York. 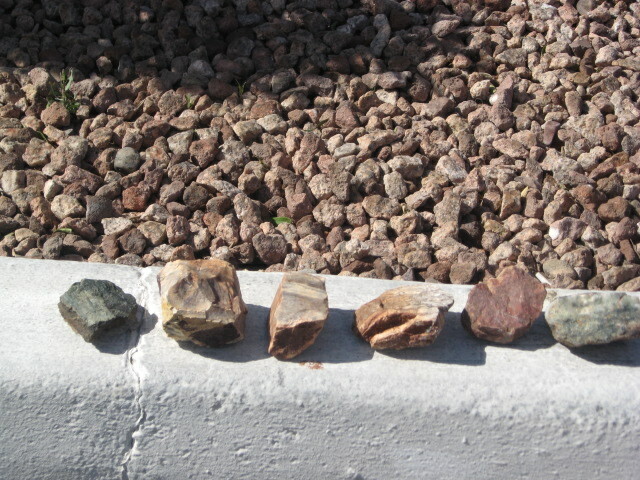 When breakfast was over we left the diner, and I showed him the striped rocks I found yesterday in Payson, Arizona. He took one of them with him to be in his rock garden back east. 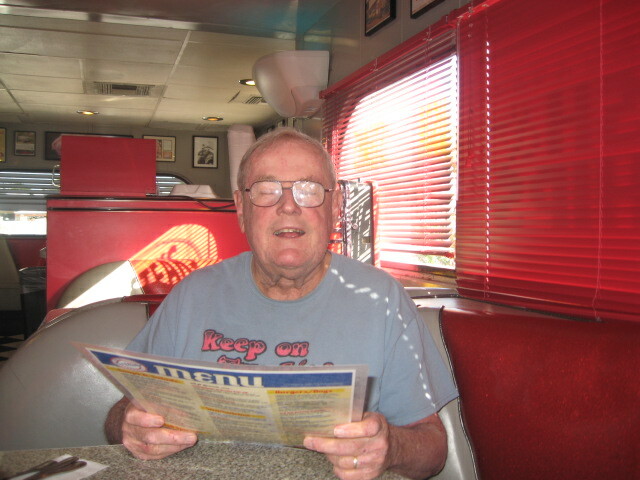 Having breakfast with an old friend is a simple thing, but it is very pleasurable. Don’t you just love to see and spend time with your friends? I do. If you ever go out for a meal with people who have traveled thousands of miles just to see you, why not leave a comment?